Why is art conservation important? Art conservation is the process of documenting, stabilizing, and preserving objects. Conservation combines historic research, scientific analysis, and material science. All of these aspects work together to create conservation treatment and maintenance plans. The process of conservation can be applied to nearly any type of object regardless of whether it is a 200 year old painting, or a brand new public art sculpture. At B.R. Howard, we use the term "art conservation" relatively loosely, as we not only work on sculptures, paintings and other types of traditional art, but also apply our conservation skills to military artifacts, historic vehicles, and historic clothing. Did you know? Conservation and restoration are NOT the same. Learn why! The same sculpture after conservation. See the whole project here. Your collection is presumably your organization's most important asset. It is what sets your institution apart from all other similar associations and draws support. When you make conservation a priority, you are positioning your collection's care as a priority which puts your organization's future at the forefront. Art is one of the largest contributors to a community's culture. Artists work hard to create pieces that inspire change, document the present, and respect the past. Conservation protects artists' ideas and the culture that inspired them. Conservation's goal as a whole is to maintain an object's integrity for as long as possible. Conservation efforts are what have kept many historical sites in proper condition for so long, as well as many ancient cultural history artifacts, paintings, and thousands and thousands of other objects around the world. Art is the heartbeat of a culture and community. Conserving these assets improves a community’s morale and protects its history. Condition assessment - A condition assessment is the process of a conservator thoroughly examining an object to identify its current condition and make repair recommendations for areas of loss, or recommendations for methods to maintain its condition. Preservation - Preservation is making efforts to maintain an object's condition to keep it intact for as long as possible. Restoration - Restoration is making efforts to change an object to appear or function as it did at one time in the past. This could involve replacing or creating parts that may not be native to its original makeup. Stabilization - Stabilization is making efforts to reduce and minimize deterioration. Art conservation starts with getting a good understanding of what condition the collection is currently in. Conservators are then able to create treatment and maintenance plans from this baseline. Art conservation is an on-going process. It starts with determining what state an object is in (assessment), completing any necessary work to bring it to a stable condition (treatment), and then determining the best way/s to keep that object in that condition (maintenance). An assessment of your collection is a great place to start if you are new to conservation for your organization. Depending on your educational background, you may be in-tune enough with your collection that you can easily identify which objects may need to be prioritized for conservation efforts. Partnering with a professional conservator for an assessment will also help you determine which pieces are in need of care and how to prioritize them. Conservators can complete the treatment recommendations that were made within the condition assessments. The length of time it takes to complete this work depends on the intricacies of each object and the requirements for work. During this time there may be research completed, testing required, and materials purchased to finish the treatment properly. If you need to find an art conservator you can utilize AIC's Find a Conservator Tool to find a conservator near you. A maintenance plan for your collection is just as important as the treatment itself. While treatment brings a piece to its full integrity, the maintenance phase continues to keep your collection in proper condition for the rest of its life. Some maintenance can even be completed by trained volunteers if you have a proper volunteer training program in place. 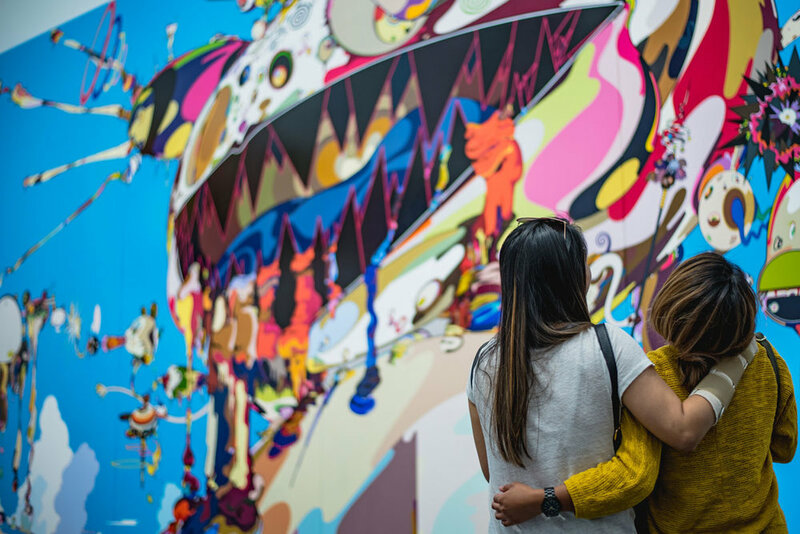 TIP: Once your collection is in order and proper condition, consider how you can use your art collection to boost tourism to your town or create business and art partnerships.